Seldom discussed about maid cafes is the actual economics behind them, i.e. how they actually make money. For those of you who have visited one, it's apparent from the table charge and various other fees (playing a game with a maid, taking a picture with a maid) that it's certainly no charity. But opening a cafe is hardly a sure thing - with constant competition, both from the established players and new entrants, the survival rate is less than 50%, according to a Japanese article from business news site PRESIDENT translated by RocketNews24. According to the author, maid cafes are struggling to define their art in the way that maiko have over centuries at teahouses in Kyoto. My take on the situation? 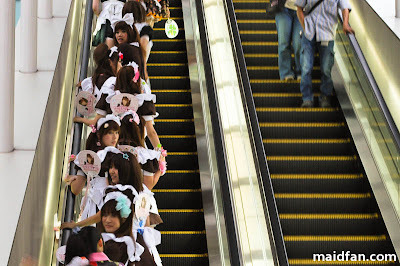 Let's not over-intellectualize the reasons for ups and down in the maid cafe market. Running any kind of restaurant is tough, especially in a fiercely competitive market like Tokyo. 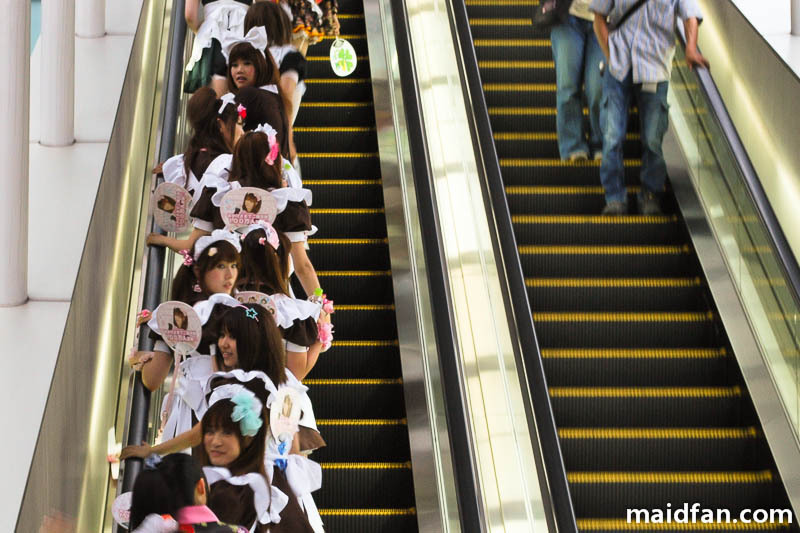 Is the turnover of maid cafes really any higher than that of other restaurants in Akihabara? The basic tenets of running a successful restaurant - ambiance, food quality, service - still apply to maid cafes. The ones that provide a consistently great experience are the ones that will survive. In any case, maid cafes have only been around since 2001, so it's far too early to assess their long-term cultural impact. As they say, let history be the judge...of maid cafes.